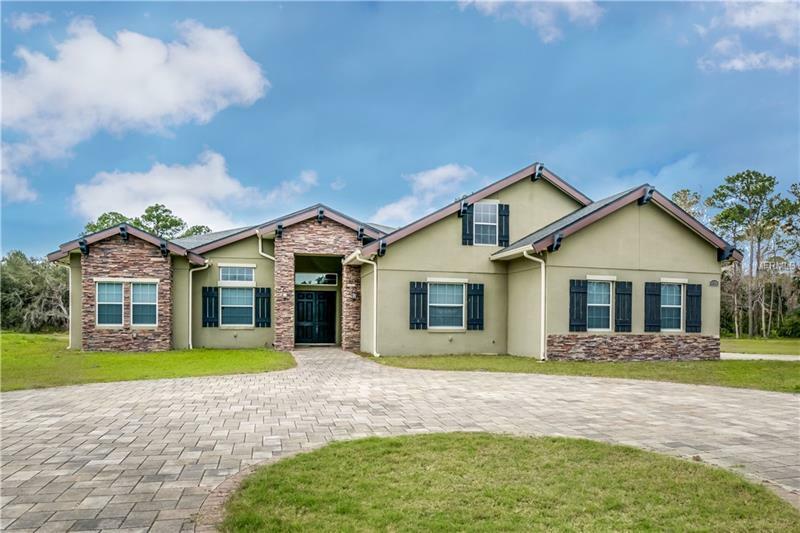 This AMAZING home on more than 7 acres in the heart of Sanford a must see! Bring all your pets to this zoned Agricultural land with a large, stunning home. This home has 5 bedrooms and 4 baths with a study/ den. Spacious 2 car garage! As you walk through the front door you feel pride of ownership. Very open floor plan with vaulted ceilings and so bright and spacious. Very large kitchen with GRANITE, stainless steel applicaces, double ovens, and 42' Cabinets and Island. Kitchen/ Family combo with real wood burning fireplace. Formal dining and living room. Master suite that is over-sized and large master bath with dual sinks, garden bath and separate large shower. Large walk-in closets. Three other bedrooms on first floor and no carpet. One bedroom over-sized and is also a media room. Upstairs has an additional bedroom, walk-in closet and a full bathroom. This is only the beginningâ¦This magnificent home sits on 7.38 acres with separate storage building that could be converted into In-Law Suite. Large screened in patio with fireplace where you will enjoy the sunrise and sunset. Amazing wooded lot directly behind the home which can be subdivided. NO HOA. Beautiful paved, circular driveway on this amazing private lot. Minutes from Sanford's International Airport and the Historic Downtown Sanford. The convenient 417 Exchange just around the corner. Coming SOON is Reagan Center. Over a $300 million Development with Retail, Office, Restaurants and Hotel. WELCOME HOME!